One of the incredible side-effects of doing retreats 3 times a year with my startup is that I get the opportunity to travel and experience completely different cultures. On top of spending a week and a half with the rest of the Buffer team on retreats, in the last two occasions I have made a decision to stay or continue traveling in the same area beyond the end of the retreat. For our latest retreat at the start of the month, 16 of us were together in Cape Town and I have stayed here 2 weeks so far beyond the retreat. I’m not sure yet whether I will continue to stay longer, or whether I will return to San Francisco. This uncertainty in itself is an example of a new way of traveling which I’ve been experimenting with. I’ve been very lucky to be born in a time where there is such a thing as work that doesn’t depend on where you are. We’ve set up Buffer as a completely distributed team (now 20 people across 18 cities in 5 continents), and I’ve had the opportunity to travel a lot already during the Buffer journey. Leo and I started Buffer in the UK, and after 8 months we moved to San Francisco. We spent 6 months in San Francisco, then 6 months in Hong Kong, and then 3 months in Tel Aviv. After that I lived in San Francisco again for the last year and a half, with a little traveling at time. The result, for me, of traveling to so many different places is that I started to carry much less with me to each subsequent place. I realized that you really don’t need much to travel, or even to live. In fact, you don’t need much in life at all. I’ve become a big fan of one bag living. In addition, these experiences were the first time I’d experienced “living” in a place rather than “visiting” a place. Being able to stay 3 months or 6 months meant that I could make new friends, discover the culture in a deeper way and experience working and living there. It relieved a lot of the pressure of “seeing all the sights” in a short space of time, and even on shorter trips now I don’t try to cram too much in. Our second Buffer retreat was in Thailand in December last year. 10 of us stayed in Bangkok for a few days and then in 2 villas in Pattaya for a week where we worked together and went on a boat trip to a nearby island. After the retreat, I decided to experiment with traveling by myself, something which I hadn’t properly done before. It was an incredible experience, so freeing for everything to be in your control. Even just the fact that it’s down to only you to get around is interesting, you have to be the one to ask directions or make the effort to meet others, rather than relying on a friend (which I sometimes do). When we do a retreat, it’s quite a busy time and we fit a lot into the week, not to mention the natural excitement and pressure of meeting people, sometimes for the first time. After Thailand, I decided to travel to Singapore for 6 days, then Taipei for 4 days and then make my way to Japan for Christmas to see my brother, his wife and my little nephew. It was a great experience to see all these different places in the space of a few weeks. At the same time, I didn’t manage to feel a part of any of these places, I didn’t get past experiencing things on the surface. My recent experience in Cape Town is in contrast somewhat to that of traveling around Asia. 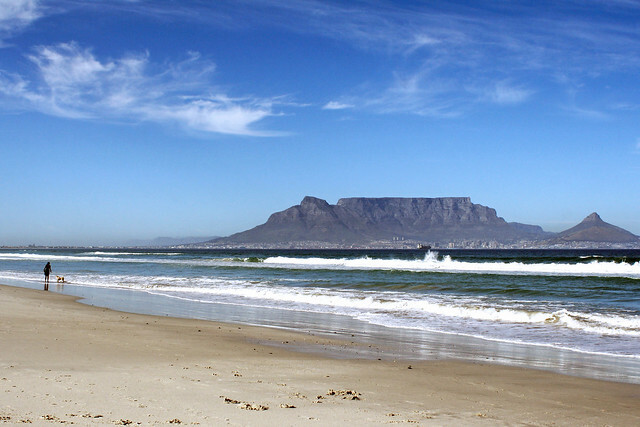 Rather than visiting other countries in Africa (which would be a lot of fun) I decided to simply stay in the retreat location of Cape Town for a few extra weeks. After the week of retreat, I found an AirBnB place and I could start to build my early morning routine go to the gym again. I found a few coffee shops and a co-working space, and I got to know some people. I did a speaking event and met the startup community here. With each day that passed, I felt like I got some extra insights into how things work here. I met locals and learned some of the Afrikaans words and some of the differences in how they speak English, too. I quickly stopped feeling like a tourist, although I have been on Safari, hiked to the Lion’s Head and had a kitesurfing lesson. During the week I’ve worked just like I would anywhere else. I’ve become much more spontaneous with my plans and let things flow based on who I meet and how I feel. I have accommodation for only a couple more days here in Cape Town, so this afternoon I’ll start looking on AirBnB again for the next part of the city to experience. In the future, I think I’ll take every opportunity to stay a few weeks or even a few months in a place, rather than trying to visit as many places as possible. I’ve found it much more fulfilling to become part of a place rather than simply seeing a place, even if it I’m only temporarily part of it. Buffer has been a crazy ride since I first had the idea back in October 2010. As we’ve grown the startup from nothing to 250,000 users, a $600,000 annual revenue run rate and a team of 6, we’ve done so from 4 separate regions of the world and experienced completely different cultures. One thing we’ve wondered along the way and as Buffer has grown is whether it is truly possible to continue to grow at a rapid pace whilst moving around. Buffer started in my bedroom in Birmingham in the UK. Birmingham is hardly the startup capital of the world, however after I reached the first paying customer Leo quickly came on board and we grew the startup to 20,000 users and almost enough revenue to cover our monthly costs. Having dropped my freelance work, Leo and I decided we wanted to jump on a plane to San Francisco simply to see what the place was like. After speaking with experienced people, we decided fundraising made sense at the stage we were at. We managed to get a place on AngelPad and Tom joined us as soon as we did. After demo day we closed our seed round and got some amazing advisors on board. Without visas to stay in the US, we had to choose where to move to. After an amazing time in SF, we wanted a new experience rather than heading back to the UK. We pulled up Google Maps and decided Hong Kong would be a good place to focus on product as well as somewhere to find balance and have new experiences. 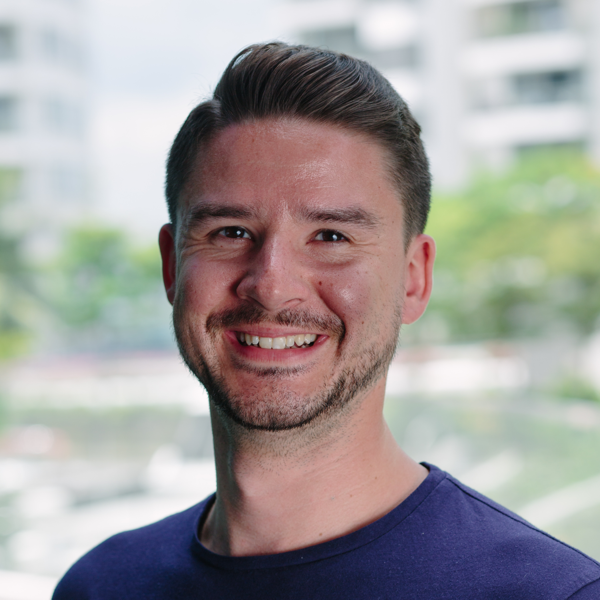 Whilst in Hong Kong we grew Buffer from 100,000 to 250,000 users and the team from 3 to 6 people: 3 in Hong Kong, 3 in the UK. The clear winner from our search was Tel Aviv. Having been here a week, we’ve had such a warm welcome and I’m excited about the progress we’ll make with Buffer here. I also hope to leave a little mark and help as many people as I can. Please get in touch if you’re in Tel Aviv and want to meet up! Having spent time travelling with Buffer, I can say there are definitely some great benefits to doing so. I think travelling at the early stages is fantastic for the culture of the startup. The “jump on a plane” mentality of being unafraid to do whatever it takes and going anywhere with your life packed in a tiny case is a great one to instill. This seeps into all areas and helps us ship fast and think big. Luck combined with our approach of being vocal about our story and progress has meant being invited to speak and mentor at some great events in Hong Kong and Tel Aviv and we’ve been able to quickly meet a lot of people. This is great personally and for progressing the startup through shared connections. A key reason for us to travel around has been to simply see new parts of the world, experience different cultures and have lots of fun. Most of us have a routine of working 5 days on Buffer, then having 1 full day off and 1 day working on ourselves through activities such as learning to code or blogging. We get a lot done, and at the same time can maintain it consistently. We don’t feel we need a traditional “2 week vacation”. So far, the travelling has had a very positive impact on Buffer. We’ve hit some great milestones and managed to grow to 6 people by hiring from my personal network. One thing we’ve experienced as we have grown the size of the team is that we’ve had to make a decision about whether we want to grow as a distributed team or eventually base ourselves somewhere and establish an office. I think we’ll always maintain the spirit of everyone in the team having full control over their schedule with a lot of freedom, but we’ve started to see benefits of having a base. "Now that we’re up to 40 people and things are going 110mph with Treehouse, I’ve decided it’s no longer viable to manage the team from another country." Where is the best place for what you do? Another key reason for us wanting a base, and planning to be in San Francisco eventually for the long term, is the idea of thinking about the best place in the whole world for whatever you are trying to accomplish. I see this similarly to if someone wanted to be the best actress in the world, she would inevitably go to Hollywood. We’ve considered many places, but for what we’re trying to do with Buffer, San Francisco and the Valley area is simply the best place for us to be. Have you thought about travelling with your startup, or do you have experience of trying it? I’d love to hear from you!